The exhibition is on view to all Airport visitors. An exhibition of seventy-nine models on view in the Main Hall of the International Terminal at the San Francisco International Airport. 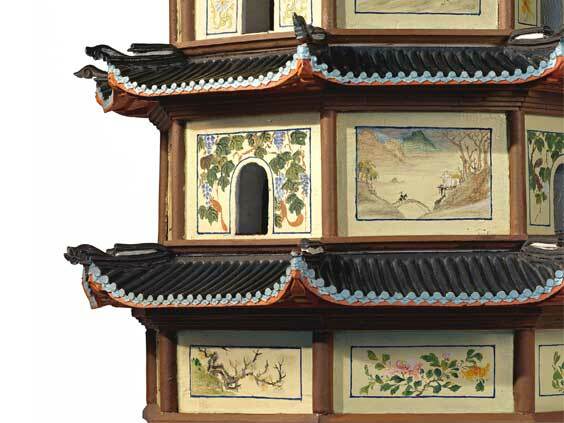 The models were carved by a group of 300 boys attending the Tushanwan Catholic orphanage and workshop in Shanghai for exhibition at the 1915 Panama-Pacific International Exposition (PPIE). After the fair’s closure, these models joined the collection of the Field Museum of Natural History in Chicago, where they remained, largely unseen, until purchased by a private collector in 2006. Now, in celebration of PPIE’s centennial, the models return to San Francisco for exhibition together for the first time since their original presentation one hundred years ago. All objects are presented courtesy of the Jeffries Family Private Collection. Special thanks to Mee-Seen Loong and William Ma for their generous assistance with this exhibition. This exhibition is located pre-security in the International Terminal Main Hall Departures Lobby, San Francisco International Airport, and continues nearby in the Louis A. Turpen Aviation Museum. The exhibition is on view to all Airport visitors from April 4, 2015, to October 25, 2015. There is no charge to view the exhibition.